Manuel Galzerano studied Classics at the University of Pavia and the School for Advanced Studies of Pavia (IUSS). He obtained his PhD from Roma Tre University in 2017 with a dissertation on cosmic eschatology in Lucretius’ De rerum natura. During his PhD research, he also worked as a high-school teacher of Latin and Greek literature. 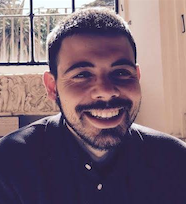 He is now based at Roma Tre University as temporary Research Fellow and investigates the role of quotations from Euripides in technical and philosophical treatises during the late-Hellenistic period. His main research interests are Greek and Latin philosophical texts from Archaic Greece to Early Imperial Rome with a particular focus on cosmology and eschatology in epic-didactic poems, especially Lucretius’ De rerum natura. His publications include articles on Lucretius’ De rerum natura and the intersections between philosophy and literature in the Greek and Roman tradition.